Our technicians are in the field constantly and are ready to come to your home or business within a short notice. We provide 24/7 assistance for bed bugs & all pests. Serving all of Long Island. Latin American Exterminating was started in the 1960’s by a Latin American immigrant trying to make his way in the United States of America. Latin American Exterminating has had a few owners join its family over the years and has grown to service not just the Latin American community on Long Island, but all of the residents of Nassau County and Long Island, New York. We have been a staple of local Freeport residents, both for home, apartment, business and building owners and tenants. Welcome to the home of Latin American Exterminating that specializes in pest control Nassau, bed bug removal, termite extermination and more! Call us right away to talk with our knowledgeable pest experts and receive a FREE consultation! When you call on the services of Latin American Exterminating Pest Control & Exterminator, you’ll be able to have your pest control needs to be taken care of by an expert company based out of Freeport, NY, that has been in business for over 50 years. At Latin American Exterminating, our technicians are the best pest control specialists in Nassau County, New York. They have been in the industry for many years and they know how to effectively treat any infestation problem, whether it is residential pest control or commercial exterminator need. When you’ve already spent an excessive amount of time and financial resources on trying to relieve yourself of the problem that you’re experiencing with an infestation, stop what you’re doing and give us a call at Latin American Exterminating Pest Control & Exterminator. Latin American Exterminating Pest Control and Exterminator is located in Freeport right in the heart of Nassau County, New York. Get Same Day/Next Day Service from Latin American Exterminating now! Our Latin American Exterminating service technicians have been successful in getting to the bottom of various infestation problems and effectively handling the job of completely eliminating the threat. Our Latin American Exterminating service technicians offer quality pest control services. No other pest control service in Nassau County, New York is as widely known as we are at Latin American Exterminating Pest Control & Exterminator. Knowing that you can always count on the services of Latin American Exterminating Pest Control & Exterminator gives you peace-of-mind. We have all that we need in order to get you the results you want and need. Don’t waste your time or money on remedies that do not work, call Latin American Exterminating Pest Control & Exterminator. For landlords and building owners and our commercial clients, Latin American Exterminating Pest Control and Exterminator works with you to ensure that your tenants and property will be safe and satisfied. Ants cause a nuisance as they travel far in search of food, and can swarm in and out of a Long Island home near Nassau County NY. Getting your ant infestation with Latin American Exterminating is the best way to get the problem under control quickly. 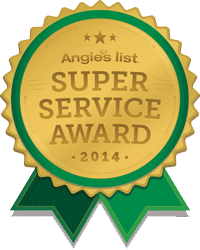 Our Nassau County exterminators make a real effort to identify the type of ant infestation you are experiencing in order to effectively treat the problem. Latin American Exterminating sees the cockroach; it is a scavenger that feeds on organic decaying matter and a variety of other foods and can often infest large buildings, apartments, or even our Nassau County homes. Mosquitoes are known for spreading terrible diseases, like the Zika Virus, all over the world and they are always a huge problem in and around Freeport NY on Long Island; being surrounded by water makes New York a harbor for these pests and it is a battle Latin American Exterminating continues to fight. Our exterminators can help approach a problem involving Bees and stinging insects. Bed bugs are filthy pests that feed on a host during the night as they sleep on their bed, and they can also infest a piece of furniture or a particular room. Latin American Exterminating Pest Control and Exterminator canine dog inspections can find the source and their eggs in a non-invasive manner that makes it easier for a client to get help without having to move all of their belongings. Why Choose Latin American Exterminating? When you’re seeking an affordable pest control service in Nassau County NY, you can always count on the services offered to you at Latin American Exterminating Pest Control & Exterminator. We exterminate ants, wasps, bees, hornets, termites, rats, rodents, mice, cricket, insect and spider infestations. *Pest Protection Plan for Home Pest Control: Initial Service charge of $149.00 applies a monthly charge of $39.99+ (based on the size of the house) for 11 months. All prices subject to sales tax (Credit Card Only). The Pest Control Service contract will begin when the initial visit is completed. This Contract will automatically renew for the successive 30-day term(s) at the expiration of the initial 1-year term or any 30-day renewal term unless terminated by either party with written notice at least 30 days before the end of the then-current term. If terminated, this Contract ends on the last day of the then-current term. **Pest Protection Plan PLUS For Termite Coverage: Initial fee of $239 must be accompanied with a 12-month service contract at $59.99 each month (Credit Card Only), and this gives you termite coverage PLUS everything covered under the Pest Protection Plan* (see above). All prices are plus tax. The Termite Services will begin when Termite Baiting System is installed. This Contract will automatically renew for the successive 1-year term(s) at the expiration of the initial 1-year term unless terminated by either party with written notice at least 30 days before the end of the then-current term. If terminated, this Contract ends on the last day of the then-current term. Cement Drilling will be additional. This includes up to 10 Termite Monitoring Stations and it is $25 for each additional station. ***Interested in a bed bug consultation? We can help you resolve your bed bug problem quickly and easily. But first, we want to have a consultation to discuss what kind of infestation you might have in your residential or commercial space over the phone to discuss details of pricing and options.